Are you uncertain about when you should see your doctor and what will happen at your prenatal appointment? At the offices of Sanford White, MD, we’re prepared to help you through your pregnancy every step of the way. We want you to know a few things you can expect during your first prenatal appointment. The sooner you begin prenatal care, the better your chance of having a healthy pregnancy. So call us as soon as you get a positive home pregnancy test. Most first visits happen sometime after your eighth week of pregnancy. We usually only see expectant moms before eight weeks if they have a medical condition that puts them at high risk, like problems in the past with a pregnancy or concerning symptoms, like spotting, bleeding, stomach pain, or severe nausea and vomiting. What happens during your first prenatal visit depends on how far along you are in your pregnancy. But no matter when you come to see us, the first visit is all about you. We want to help prepare you for what to expect throughout your pregnancy. You should expect to provide a urine sample. We check for any signs of infection and confirm your pregnancy with a test that is more sensitive than the one you took at home. This test determines the presence of Rh factor in your blood, which is a protein found on red blood cells. It also tells us your blood type. If you don’t have the Rh factor (Rh negative) in your blood, but the father does (Rh positive), you need special care throughout your pregnancy to keep you and your baby safe. This is a standard blood test to check different levels in your blood. It helps us know you are healthy and can identify any special needs you may have during your pregnancy. Every pregnancy is unique, so some tests, like genetic screenings, are not routine but we do them based on your preferences and other factors like family history and your age. If you have any active infections during your pregnancy, you can pass them on to your baby. We check for diseases like hepatitis B, rubella, HIV, and syphilis. Our staff, led by Dr. White, checks your height, weight, blood pressure, lungs, and heart. We want to know what medications, including vitamins and herbs, you are taking. We also ask about medication allergies you may have. 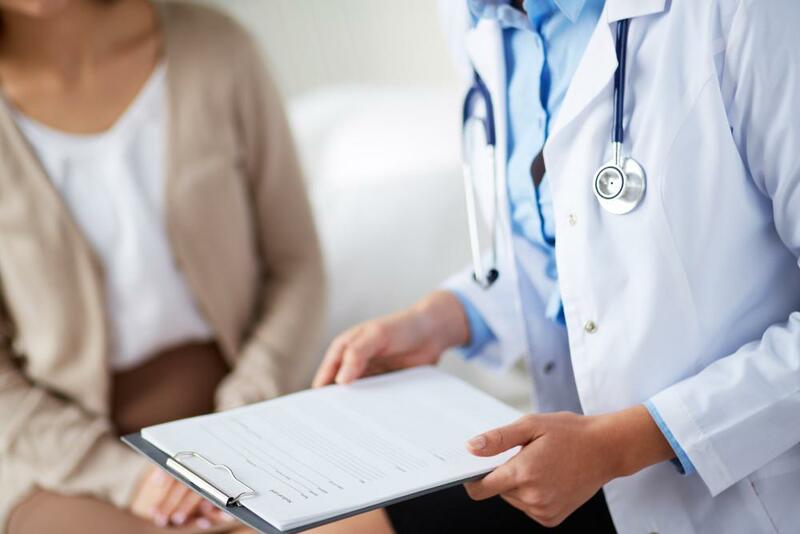 No matter how long it has been since your last routine pelvic exam, Dr. White is going to want to do a pelvic exam and cultures to make sure your pregnancy is healthy. We check for diseases like gonorrhea and chlamydia, which can be dangerous to your baby. We also do a Pap test and possibly a test for human papillomavirus (HPV), depending on your risk factors. You may have an ultrasound, too, depending on how far along in the pregnancy you may be and how accurate you are about when you became pregnant. During an ultrasound, we can make sure the baby is growing as we would expect, and you may be able to hear a heartbeat. Our staff spends enough time with you to answer all of your questions. We encourage you to keep a running list so that each time you come to your appointments all of your questions are answered. Now that you know what to expect, call our office to schedule an appointment. Dr. White and the rest of the staff are ready to help you throughout your prenatal care and delivery.